Navi Mumbai has got itself a castle restaurant that serves lavish food, fit for a royal. Here’s your chance to play the part and indulge in some old-school hospitality, apart from the food. 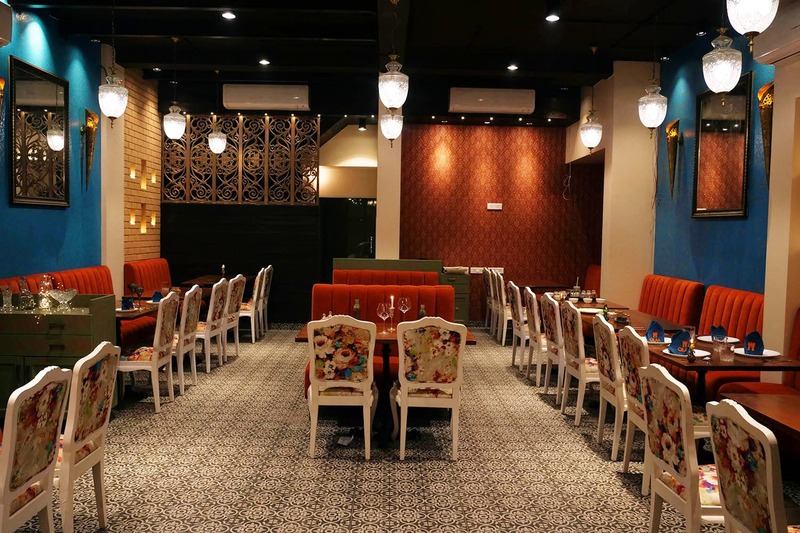 Spread across two floors, the top floor or the ‘Royal Dawat’ is lined with private booths and royal blue walls, with paintings of the royal queens of yore. A spiral staircase then takes you down to the ‘House of Commons’, designed like a royal courtroom, where you’re served your meal on brass crockery. Secret recipes form the crux here, with select ingredients that make for a great meal. Their signature dishes include Amrit-e-Qilaa, Polenta Squares with Veg Ragu, Paneer Zaffrani Tikka, Rajasthani Mirch Wada, Arabic Aubergine Rounds, Nahr-i-Bishti Kebab, Bombil Zesty Wraps, Buffalo popcorn shrimp, Nadroo Yakhni, Bhuna Kukda and many more. Qilaa de Vashi will introduce it’s ‘Royal Bar’ in mid-May with Indian flavour-inspired cocktails and a live event schedule to pump it up even further. Want to be treated like a royal for a change? We’ve got the answer for you. Make it an extra special evening with bae, dipped in royalty. Price: INR 1,000 for two people approx.